Originally released by Bloodshot in the US in 2000 as BS 050, this album was re-released by Anti Records in 2007. Let Neko sing you one of her lullabies. It may not help much, but it helps to have something to listen to while you are cutting your ex’s face out of all the photos. FRL represented a quantum leap in confidence for Neko. Allowing herself to stretch out in the studio, to write her own material and explore new sounds, this album saw the first glimmerings of the torch country noir that would come full force in later albums. It is positively brimming with an explosive talent on the verge of bursting out. Furnace Room Lullaby laughs at us when we always think this love thing will get easier. You always think that THIS is the time you’ll get it all figured out; the process becomes clear, the hazards marked, the dangers well-known, and the mistakes will not be repeated. You’ve been through the rebound relationships, you’ve gotten "in touch with yourself," you’ve gotten to a good place, you no longer feel like you’re falling down an endless elevator shaft, your dazzling array of visible twitches have subsided, your personal grooming habits are back to a level of societal acceptance, and you’ve worked through your binge drinking, self-loathing, and spastic outbursts of sporadic violence directed at your kitchen table. Now you’re prepared to enter the fray again, aren’t you? It’ll be different this time, right? Neko Case is here to tell you that you’re a damn fool. Love is a brutal and nasty mess. It doesn’t get easier. It doesn’t get better. It doesn’t make any more sense. It doesn’t become more fair. It’s always got some diabolical new hell to toss your way. It’ll chew you up, spit you out, and laugh until its sides hurt. Why? Because it knows you’ll come back for more. Again and again. Sucker. So let Neko sing you one of her lullabies. It may not help much, but it helps to have something to listen to while you are cutting your ex’s face out of all the photos. 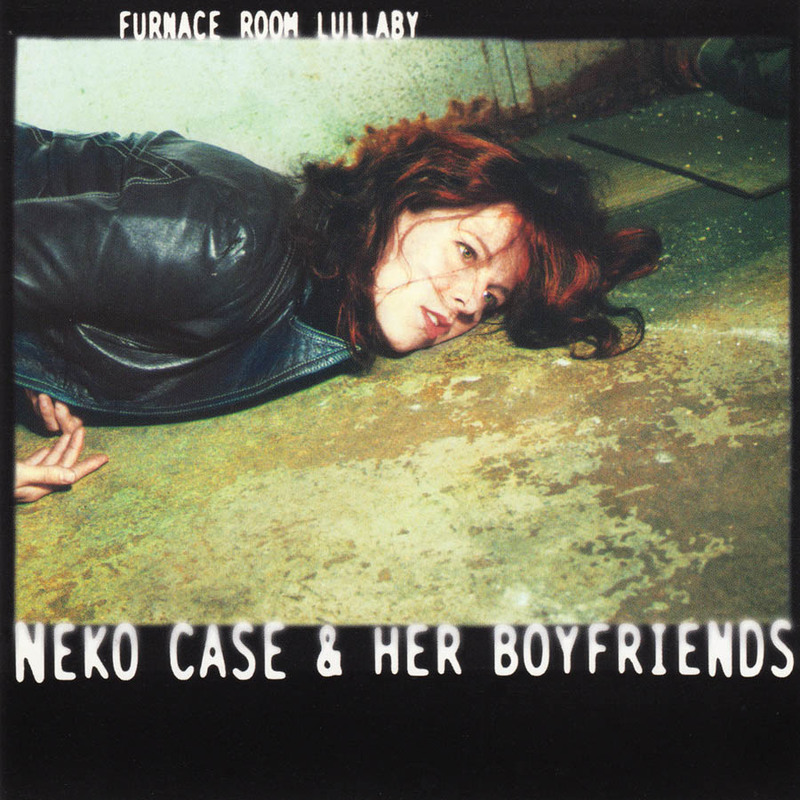 Furnace Room Lullaby makes one point perfectly plain: Neko Case's voice is a force of nature. She's capable of quickly transmuting from blue-sky tranquility to hurricane-force furor. Case's music carries some impact: Stomping and howling through a rough set of rocking honky-tonk and damaged torch songs, she tears through country music conventions like a mad gale blowing through a barroom, spilling drinks, mussing hair, and pushing the wrong people into each other's arms. Case middle-fingers most contemporary country. She plays country as Mother Nature intended: bloody, gut-wrenching, foul-tempered, done-wrong, liquored-up, tearful , hormonal, filthy, often-violent, perpetually-heartbroken. She scrubs the red off its neck, takes the white from its trash, strips back the top-40 gloss that coats too much of it and strikes tuning forks against its bare white bones. It's her deceptively effortless shot at high art, each tune alternately smoky and barbed-wire taut with more than a taste of rainforest melancholy. "The songs are who I believe myself to be and that will change, but for now that’s how it is and I’m very satisfied with that." Blacklisted is the record where Neko fully defines her voice as an artist, both vocally and musically, and gives us an intensely intimate work that evokes a dark elegance with a hint of twang. Kelly and Neko nestle up to each other, with only a thin layer of vinyl betwixt them, and channel the rebellious spirit of the Coal Miner's Daughter. DEBUT CD. Some writer sent us this CD from Canada and said "You should put this out!" After listening to it about 8400 times in office (over a two day period), we agreed. Her languid, dreamy, smooth-as-honeyed whiskey voice will take you on a pleasing journey through the un-make believe lands of sorrow, betrayal, and emotional devastation.